Learning Tools are built into the Microsoft Edge browser, adding more options for readers in your class to interact with texts. 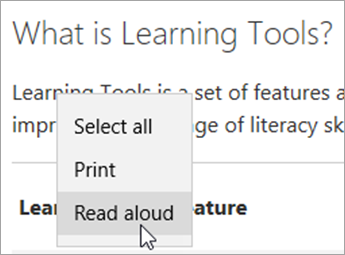 Use Learning Tools in Microsoft Edge to hear any webpage, PDF, or ePub read out loud while following along with the words on screen. Readers can also boost text readability by adjusting font and text spacing in ePub books. 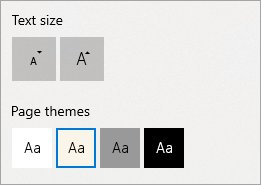 Reading view in Microsoft Edge now has Learning Tools features such as Read aloud, page themes, text size, syllables, and parts of speech highlighting. You can even look up definitions as you read with the inline dictionary. Read aloud. Hear text read out loud. Just right-click (or press and hold) anywhere on the page and select Read aloud. Read aloud will begin automatically reading at the word you selected. A ribbon toolbar will appear at the top of the page after you launch Read aloud. The toolbar includes the Play button, buttons to skip to the next or previous paragraph, and a button to adjust your Voice settings. 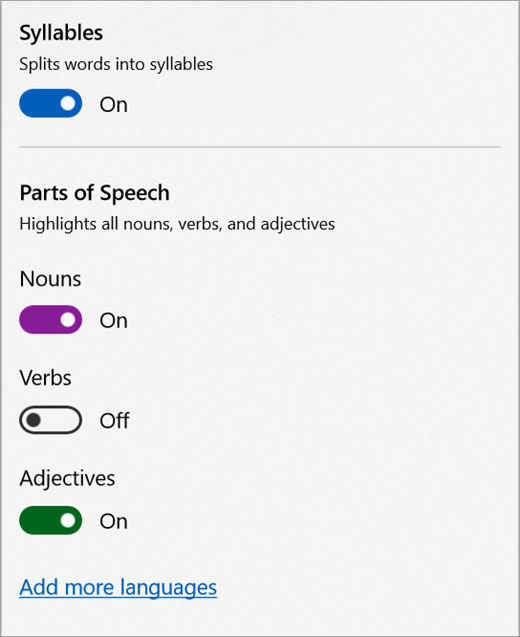 Voice settings allow you to select from different Microsoft voices as well as change the speed of the reader. Read aloud highlights each word on the webpage as it's being read. To stop listening, select the Pause button or the X to close Read aloud. 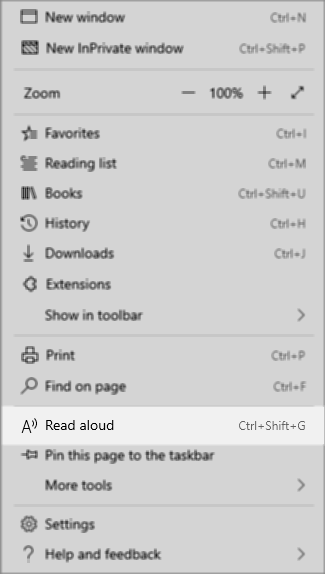 Tip: Another way to access Read aloud is to select the Settings and more icon, and then select Read aloud. Availability: Read aloud is available for webpages, PDFs, and ePubs. Change page theme, text size, and text spacing. Reduce visual distraction by choosing your preferred background color, or Page theme: white, sepia, or black with white text. You can also increase your text size and expand the spacing between letters and words. 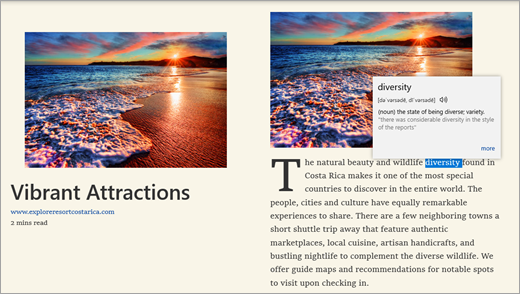 Click anywhere on the page, select from the Reading Bar, and choose your Text size, Text spacing, and Page theme. Note: text size and spacing options are available for webpages and ePubs only, not PDFs. Choose from a variety of font styles and read ePubs how they look best to you. Note: alternate font options are not available for webpages and PDFs. Grammar tools can assist in reading comprehension by breaking words into syllables and highlighting nouns, verbs, and adjectives. When you’re in Reading view or reading ePub books in the Microsoft Edge browser, click or tap anywhere on the page, select Grammar tools and then choose your options. Note: Grammar tools are available for webpages, PDFs, and ePubs. Select a word to see its definition. For a more detailed definition, select more.